If you think the class system isn’t alive and well in 21st Century Britain, you haven’t been paying attention. 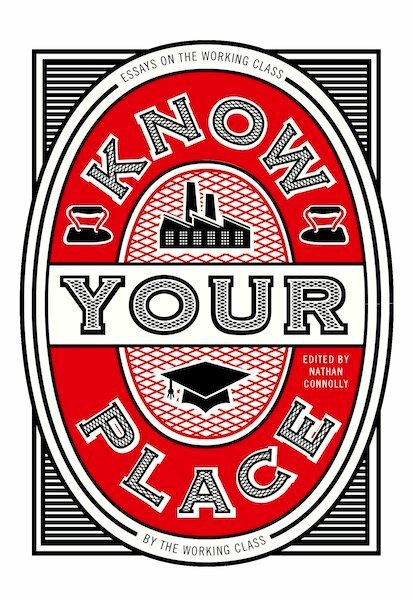 As part of the Manchester Literature Festival 2017, we’re incredibly excited to be teaming up with Dead Ink Books on October 9th for an evening celebrating Know Your Place: Essays on the Working Class by the Working Class, a new anthology of essays in which a broad slate of voices consider the working class experience wreference to art, representation, sexuality, employment, gender and literature. Performing their essays at The Anthony Burgess Foundation in Manchester are Kit de Waal, author of the bestselling, acclaimed novel My Name is Leon; poet and MMU lecturer Andrew McMillan, author of the multi-award winning debut collection, Physical; Gena-mour Barrett, a BuzzFeed journalist who hosts the podcast Well, Blactually and has been featured on BBC Radio; and Abondance Matanda, who has published four handmade books including Bare Fucker1es, and was featured in Dazed & Confused as one of ‘the new generation of poets mastering DIY culture.’ The event will be hosted by our very own Kate Feld. This event is currently sold out but you may still be able to pick up returns from the festival’s box office agent, Quaytickets on 0843 208 0500. Calls cost 7p per min plus network operator’s access charge. The box office is open Monday – Sunday from 9am – 9pm. Posted in Events, Featured and tagged Abondance Matanda, andrew mcmillan, CNF, creative non-fiction, dead ink books, essayists, essays, Genamour Barrett, Kit de Waal, know your place, live literature, live readings, manchester literature festival, spoken word, The Real Story Live, working class. Bookmark the permalink.